Place your bets on an unforgettable evening at this year’s Broadway Bets, Broadway’s official poker tournament. 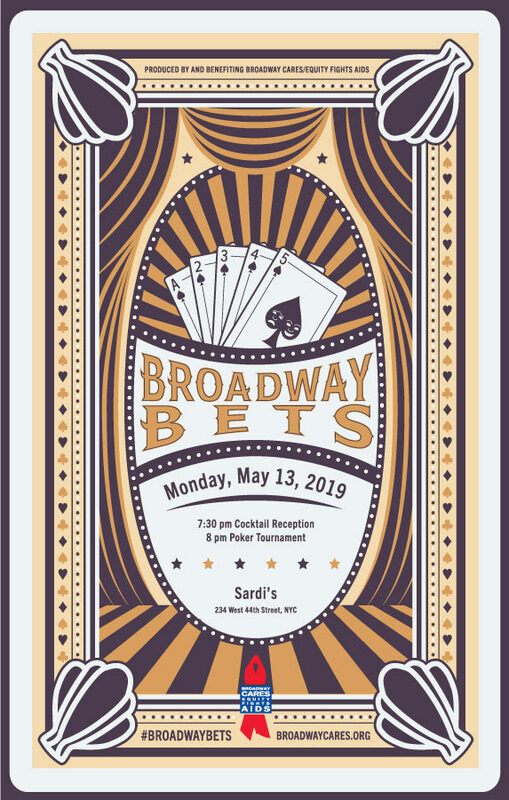 Broadway stars, industry insiders and theatre fans will raise the stakes at the Texas Hold ‘em tournament at the theatre district’s beloved Sardi’s Restaurant. 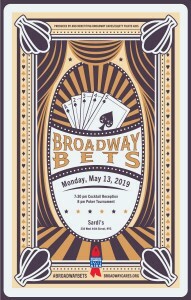 Novices, aces and anyone willing to show their hand have the chance to win the coveted title of Broadway Bets champion. 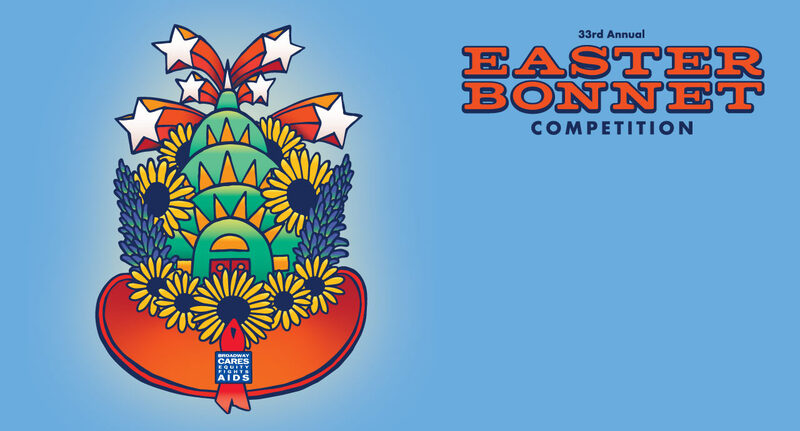 Prizes will be awarded to all players who reach the final table. Cocktails for the fifth annual edition of Broadway Bets start at 7:30 pm; the tournament begins at 8 pm. All ticketing levels include hors d’oeuvres and an open bar. Additional sponsors will be announced later. Broadway Bets‘ founding co-chairs are Paul Libin, president emeritus of the Broadway Cares/Equity FIghts AIDS Board of Trustees and executive vice president emeritus of Jujamcyn Theaters, and Robert E. Wankel, president and co-CEO of The Shubert Organization and president of the Broadway Cares Board of Trustees. 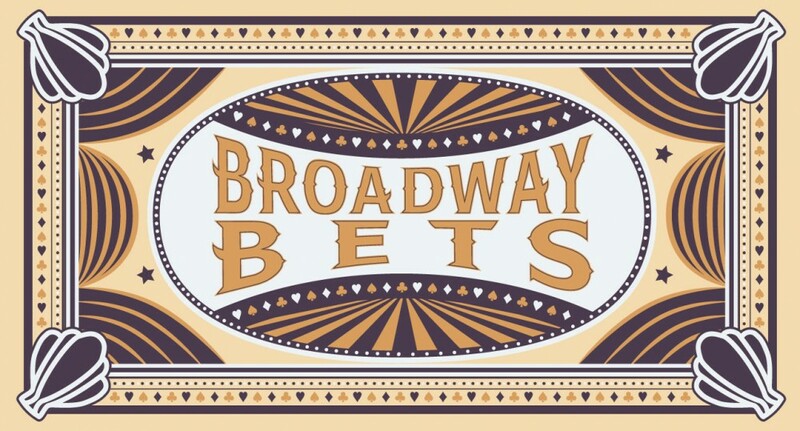 Last year’s tournament raised a spectacular $295,100, as Peter Pergola, chief operating officer of The Araca Group, bested Thomas M. Cerabino, chairman of Willkie Farr & Gallagher LLP, to win the title of Broadway Bets champion. In its four years, Broadway Bets has raised $967,000 for Broadway Cares/Equity Fights AIDS. See photos and read about last year’s event.